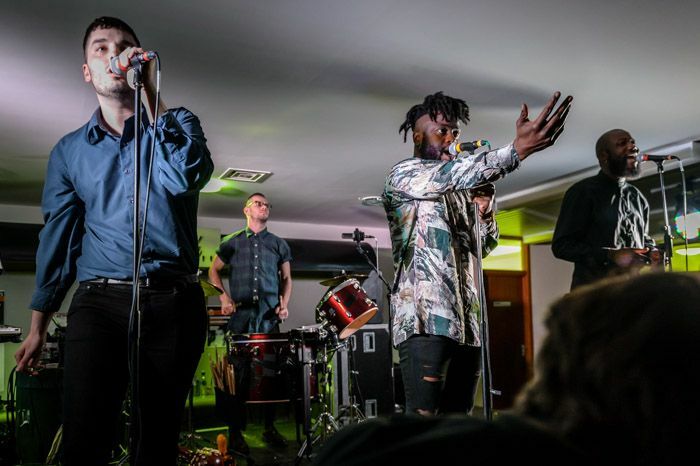 Young Fathers’ Alloysious Massaquoi talks to Getintothis’ Craig MacDonald about new album White Men Are Black Men Too, their upcoming Kazimier gig and taking expectations in their stride. Last year was a pretty busy year for Young Fathers, AKA Alloysious Massaquoi, Kayus Bankole & ‘G’ Hastings. 2014 saw the Edinburgh based group unleash their first full length album Dead and with it introducing a swathe of new fans to their all-consuming sounds. Fast forward some 12 months later, on top of winning the Mercury Music Prize (in many eyes deservedly) and touring the world extensively in support of Dead, including an explosive night at Arts Club, you would think that they would be hard pressed to find the time to record a new album. With the release of White Men Are Black Men Too via Big Dada next month coming ever closer, the trio pick up from where they left off. At times sounding like the haunted scene of a battlefield of genre clashes, the troops pounding beat over a ghostly look into the world as we know it, Young Fathers have found a way to get across real life situations that few would think possible. Never one to shirk from saying it like it is, Alloysious speaks with confidence and fearlessness about what he has described as the band interpretation of what a pop album should be and dealing with the expectations that people may have about the Scottish trio. Although now tagged with the unenviable “UK hip hop” title, the Young Fathers are a complex amalgamation of influences that finds many hard to pin down exactly what genre they are. But as with recent singles Rain or Shine & Shame, they remain detached from conforming to the norm and feed the listener with challenging sounds to tempt your ear. The murky down tempo Rain or Shine sounds like a 1920s jaunt to the seaside gone array, with second single Shame the polar opposite, scratching away at the surface with its beats and bass, building to a sun tinged climax in an offering that is a prime example of the pop of which Alloysious speaks. Unlike previous releases Tape One, Tape Two & Dead, new album White Men Are Black Men Too has been recorded pretty much anywhere and everywhere that the band could get a spare minute to themselves. 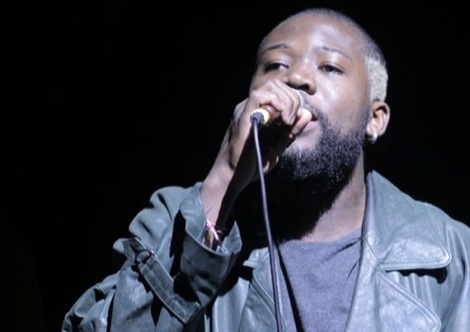 Last year saw Young Fathers play 130 gigs on their tour spanning the UK, Europe, Asia, USA and Australia. But just like they have their whole lives, rather than seeing this as a hindrance on the making of the new record, the three-piece grasped the opportunity with both hands and embraced the relentless schedule. As part of their tour dates this year, the band have taken part in the Get it Loud in Libraries live programme, including their recent gig in Skelmersdale Library which Getintothis were lucky enough to witness. Talking the day after the gig, Alloysious is keen as ever to stress the importance and pride they take in introducing as many people as possible to their music, an explaining why they became involved in the programme. The group are now gearing up for the full scale onslaught of White Men Are Black Too and the band are keen to include tracks from the new album into their live sets as quickly as possible. But as Alloysious admits, with a new direction come new instruments – and new sounds to master and tweak until they are happy to add these to the barrage of sounds that Young Fathers’ live shows include. 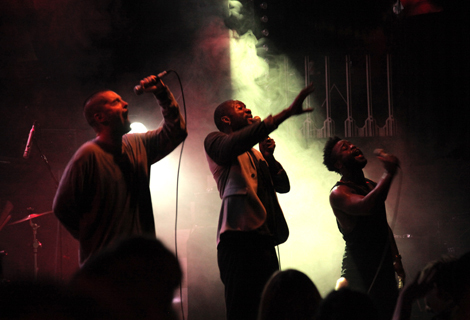 On June 7 EVOL brings the Young Fathers back to Liverpool for an eagerly anticipated return to The Kazimier, showcasing again the ferocious live show that the band has crafted over 7 years. 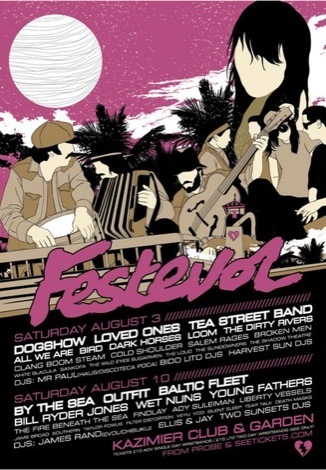 The group last played the venue as part of 2013’s FestEVOL and hope to once again enjoy an audience as passionate as they are. With plaudits bestowed upon them and the masses now catching up to what many already knew for some time, this is truly a band not to be missed when they grace us with their presence in the summer.